Whenever you opt for a strong makeup focal point, you’ll need to consider not only the rest of your color palette, but your wardrobe as well. 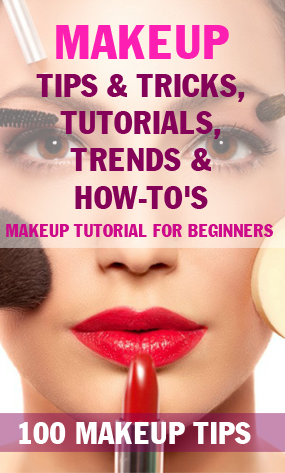 Wearing bold colors such as blue eye shadow or red lipstick can make such a siren-statement; you’ll want to play down the rest of your palette to keep the look balanced. 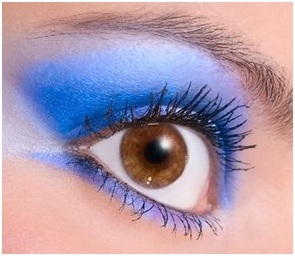 In addition, consider the occasion before you opt for a bold blue eye shadow. A striking hue is best reserved for after-hours in a casual environment rather than the office. If you want to dapple in the exciting world neon blue eye shadow, try out the following application tips. Prior to applying eye shadow, make sure you’ve prepped your skin with a deep cleanser and an effective moisturizer along with any corrective eye concealer. Prepping the face for makeup is an important step, as cosmetics adhere best to a surface that is evenly moisturized and even in tone. A pre-makeup cream helps to keep vivid eye shadows true to their palette once applied to the skin. 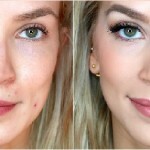 Vivid shades often benefit from a pre-makeup cream since bright colors have the tendency to apply murkier and less pigmented than you may expect. Once you’ve prepped the eye area for shadow application, you’re ready to brush on your bold color. Whether you opt for a brush or foam tipped applicator, make sure you gently tap the tool on your wrist prior to applying to remove any excess color. Bright shadows should always be applied from the outer eye to the inner eye to avoid garish telltale lines. Start with a single sweep of color and reapply as needed to capture the desired depth and pigment. A neon blue eye shadow needs little more than a stroke of mascara to complete the eye look. While you may opt for a thin line of black eyeliner, keep in mind the more minimal application, the cleaner and more glamorous your look. Blue eye shadow is best paired with neutral glosses, lipsticks and earthen or pink blushes to tone down the intensity of the shadow. Unless you want a very bold makeup style, never wear red lipstick with blue shadows. If you wear a lot of jewelry, try to tone down the accessories next to your face while rocking a bright hue. Too many baubles and hoops can distract from your bold makeup and create an otherwise messy look. 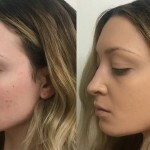 While there are plenty of high end cosmetic lines that manufacture gorgeous blue shadows, the novice wearer should never shell out too much cash for a playful color. Drugstore beauty brands are perfect for color experimentation. Once you find a bold hue that you’re comfortable wearing, you can seek out a variety of formulas at varying price points. In the beginning, it’s best to keep your investment minimal since this eye makeup style requires a change of palette and a special occasion. No matter what you spend, remember to wear your bold eye shadow with confidence. Blue shadow complements a variety of skin tones, so feel free to explore the creative world of playful hues. Colored shadows are an instant picker-upper, and may be just what you need if you find your routine has entered into a beauty rut. Whether you rock vivid hues at a holiday party or with your favorite skinny jeans and relaxed white tee shirt, blue shadow will always be a fashionable and statement-making cosmetic choice, perfect for the confident gal who wants an edgy look!